When family comes into town for the holidays it is always both stressful and exciting, yet no one ever thinks it could be a deadly experience. According to CBS Denver, a whole family nearly lost their lives when their family members decided to spend the night after a holiday dinner. The sleepover put grandparents and five elementary school aged children at risk when Carbon Monoxide filled their Littleton home. A total of five adults were in the house with the children and all 10 people had to go to the hospital. Firefighters say if it had happened at night they could have all died. One of the girls staying the night for a sleep over called her dad saying she felt sick, when her father arrived he said that she was not the only one sick. Eventually it dawned on the family and parents that their must me a gas leak of some sort. The families house did have a Carbon Monoxide detector but it malfunctioned. The family house filled up with levels that firefighters reported as being a deadly amount. However, neither firefighters nor Xcel Energy have found the source of the leak, leaving the family to find another place to sleep. Have you been seriously injured by a malfunctioning product? Contact a product liability attorney in Littleton today to find out if you have a case worth financial compensation. 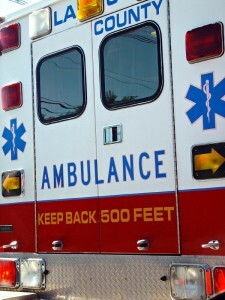 Headache, nausea and dizziness are all classic symptoms of carbon monoxide poisoning. The Center for Disease Control reported that 87 people a day die because of unintentional poisoning. Over 2,000 people are hospitalized from being exposed to poisons. The definition of a poison is any substance, including medications, that is harmful to your body if too much is eaten, inhaled, injected, or absorbed through the skin. Any substance can be poisonous if too much is taken. Unintentional poisonings have claimed many individuals lives In 2009, it was determined that over 75% of the that years poisonings that caused someones were unintentional. Unintentional poisonings are described as when a person is taking or giving a substance did not mean to cause harm, then it is an unintentional poisoning. This type of death is the second most common cause of death for Americans. In 2009 there were 41,592 deaths in the United States caused by poison ingestion. There are many products that are invented to help reduce this number. However, when these products malfunction it can cause a huge problem. If you have a defective Carbon Monoxide detector in your house, you may think you are safe but this can create a false sense of security and can cause you or your family to become very ill in the event of a gas leak. If you or a loved one suffered serious injuries because of a defective product it is important to seek the advice of Mike Bahr a product liability attorney in Littleton. Contacting a personal injury lawyer now can be the difference between having to cover your own medical bills and receiving compensation for injuries. It is important that if you have been harmed by someone else’s negligence that you do not become financially stressed or strained. It is not fair for someone to have to suffer financially after recovering from injuries another party is responsible for. To see if your injuries, lost wages, and medical bills are worth compensation from the products company contact Mike Bahr. 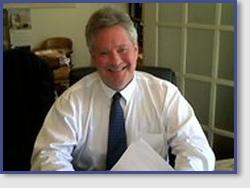 He works with you to help you understand your case and can help you get the financial compensation you deserve. Call today at (303) 794-7422 for a FREE CASE CONSULTATION! !